A Case of Blastocystis Infection - Or is it? Many patients present with gastrointestinal signs and symptoms. When tested, many patients have Blastocystis present in their gastrointestinal tract. When the two coincide – i.e., the presence of both GI symptoms and Blastocystis in the stools – does it necessarily follow that Blastocystis is the cause of those symptoms. In this Case Study, Jason will explore the Blastocystis literature; particularly in relation to its potential pathogenicity. He will also cover considerations around diagnostic closure and the consequences of potentially inappropriate treatment. In this presentation, Rachel, Jason, and Nirala explore how the practitioner may be influenced by subtle and not-so-subtle marketing, disguised as education and ask the question: “Can companies with a commercial interest, provide ethical and fair education that’s worthy of our CPE”? Many patients present with gastrointestinal signs and symptoms. When tested, many patients have Blastocystis present in their gastrointestinal tract. When the two coincide – i.e., the presence of both GI symptoms and Blastocystis in the stools – does it necessarily follow that Blastocystis is the cause of those symptoms. In such cases, when do we consider the cause of the symptoms to have been found? Do we recommend further investigations to assess other diagnostic considerations? In this Case Study, Jason will explore the Blastocystis literature; particularly in relation to its potential pathogenicity. He will also cover considerations around premature diagnostic closure and the consequences of potentially inappropriate treatment. Dr Jason Hawrelak is a research scientist, educator, naturopath and Western herbalist with more than 18 years’ clinical experience. Jason practices at Goulds Natural Medicine, a 137-year-old natural medicine apothecary and clinic located in central Hobart. He did his PhD examining the capacity of probiotics, prebiotics and herbal medicines to modify the GIT microbiota and has written extensively in Australian and International textbooks and journals on these topics. He is on the Medical Nutrition Council of the American Society for Nutrition and is a Fellow of both the American College of Nutrition and the Naturopaths and Herbalists Association of Australia. 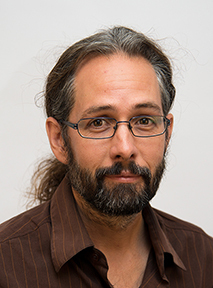 Jason is currently the Senior Lecturer in Complementary and Alternative Medicines at the University of Tasmania’s School of Medicine (Hobart, Tasmania), where he coordinates the Evidence-based Complementary Medicine programs. He also teaches natural approaches to Gastroenterology within the University of Western States Master of Science in Human Nutrition and Functional Medicine program (Portland, Oregon).